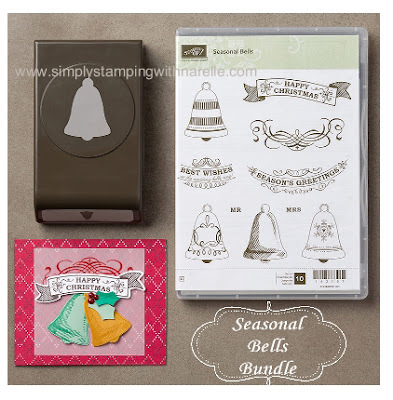 Today I have a lovely Christmas card to show you using the Seasonal Bells bundle. This stamp set is just gorgeous. It has a matching punch that makes it quick and easy to make cards. The bonus is that you can purchase the two together and save 10%. Gotta love that. If you haven't noticed the bundle in the Holiday Catalogue, here it is below. 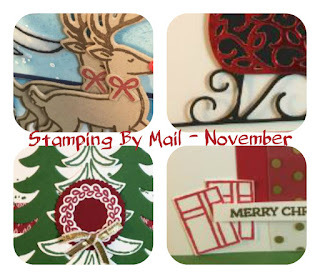 I also used the Holly embossing folder on this card. I coloured it using one of the techniques I showed you a few days ago here. 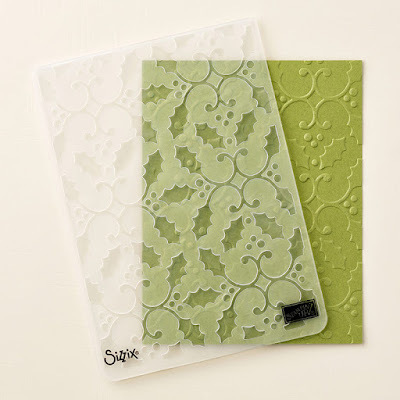 It is a beautful pattern in this folder, and is fast becoming one of my favourite embossing folders. Want more Christmas card inspiration? 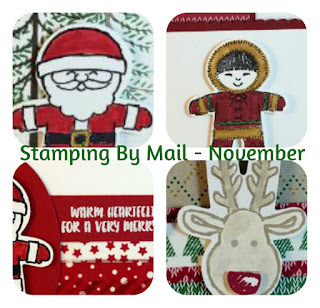 Then why not have a look at my Stamping By Mail - November classes. I have two great classes to choose from, or you could do them both and save 10%. You get the product, plus the kits with full instructions and videos as well. It is great value for money and perfect for those people who can't make it to class.